Staycation is one of my favorite things to do. It might sound pricey, however am sharing you some tips where to spend your next stay without spending a lot. How about a comfortable, clean and safe room for staycation under $40 per night (under Php2,000) sounds great, am I right? And yes in Makati City! 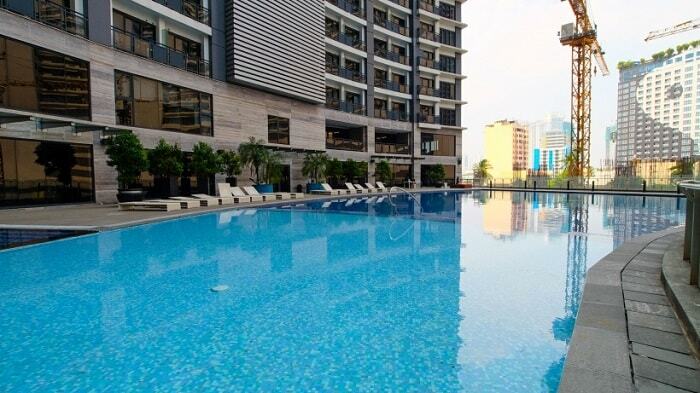 ZEN Home Knightsbridge Residences Makati offers the best high end studios in Makati, Metro Manila. So, whether you’re looking for the best night life in the Philippines or a pleasant family weekend, ZEN Home Knightsbridge Residences Makati is the perfect fit for you! Located in Century City, the building is a few steps away from the most famous nightclubs and the best rated restaurants in Makati. If you prefer shopping and a family afternoon, Century City Mall is just one block away from ZEN Home Knightsbridge Residences Makati. 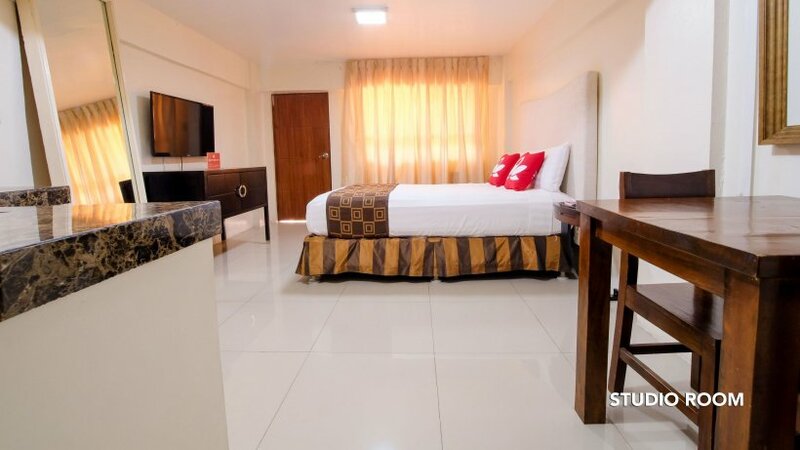 The serviced studios come with a flat-screen TV with cable channels, fast wifi, aircon, a clean double bed and a complete kitchenette, with an induction oven, microwave and cutlery for the guests that prefer the peace of being home and a homemade dish. ZEN Home Knightsbridge Residences Makati also includes spa center, fitness center, swimming pool, sauna, library, study room and playground for kids, it’s a complete amusement park for everyone! Bitten by the urge to book your next staycation? Give in to temptation and avail of our affordable and quality offers! ZEN Rooms offers 15% off if you book for the month of September. 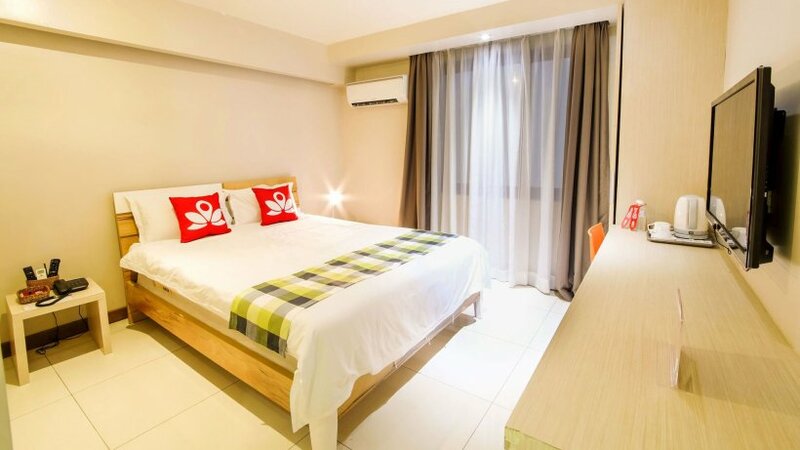 Click https://www.zenrooms.com/hotels/21/hotels-manila now! You may also enjoy additional discount, exclusive for the readers of my blog. With the motto Travel More, Pay Less, ZEN Rooms’ breakthrough room management model was launched in 2015 to offer a better budget accommodation experience in Asia, shaking the hospitality market and providing a more affordable alternative to traditional hotel chains. ZEN provides all the key essentials needed for a comfortable stay in unbeatable rates (starting at only PHP850). Every ZEN guest is guaranteed cleanliness, free fast Wi-Fi, comfortable double bed, working AC, a hot shower and 24/7 customer support. Nothing is more fancier than travelling more, while paying less! Oh that's cool! And Oyo-name is unique as well. I would definitely go to ZEN HOME KNIGHTSBRIDGE RESIDENCES MAKATI if I were to ever go to Philippines...I personally love Zen rooms...so this list is perfect for me...thanks babe! Ohh the Zen home looks so cozy! Look the size of that swimming pool! Must feels like empty even thought if there were much people in there! Thank for the tip and hopefully we will get back to the Philippines one! Accommodation under $40 is quite good for budget travel planning.These rooms looks beautiful.I like the room of ZEN Home Knightsbridge Residences much! These are such great places to stay. And under $40? Yes please. What a deal. Yes babe! 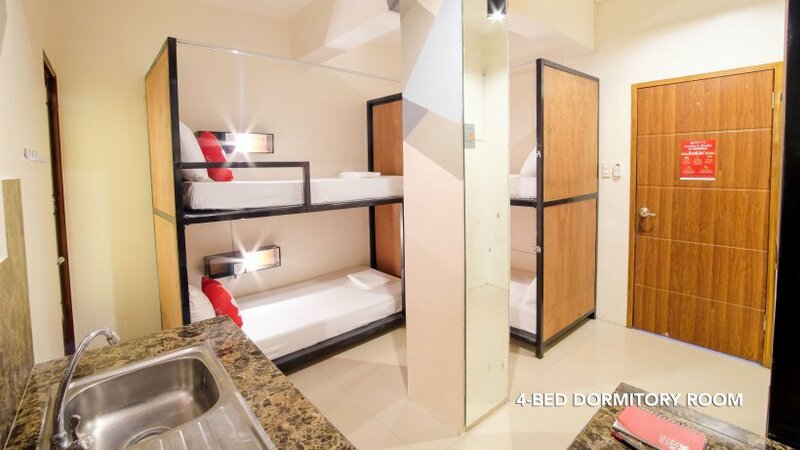 And there is a dorm-type perfect for backpackers. Oh you can have these dorm-type Emily! And its very affordable and clean as well. wow, that pool looks amazing. It's the first time I hear about zen rooms, and I love the idea. It's so affordable as well. ZEN Rooms is like the Uber of accommodation, kicking Airbnb out. All these rooms look fantastic and so cheap as well! They are a great selection and thanks for sharing! If I go to Makati, I'll defo know where to stay! Thanks Corinne, you may also check other ZEN Rooms in other cities of the Philippines. Just don't forget to use my exclusive discount code so you could enjoy 20% less. wow the dorm room looks so comfortable. So different from the dorm rooms i use to take when going backpacking during my UNI days. Will definately check this place out if i am nearby. Thank you dear, I want it as well. That is a nice place. I love that they use tile on the floor so I know it is clean. Yeah, and some have luxurious carpets depending on the units. Wow what some lovely sounding places to stay and for just $40, you wouldn't get anything as nice here for that price. Thank you for visiting Sarah! Please visit the Philippines. You'll love this place. How very impressive, I love the variety of the rooms they offer and the price looks absolutely lovely. I agree Anosa! And what I like about these unit is it doesn't compromises much the value of costs versus the quality of rooms. Looks amazing. Budget travel can be tricky when it comes to finding a decent hotel but this is a great option. Thank you Natasha, hope you'll enjoy your future PH-travel! Wow. Under $40/night sounds like an amazing price, and the hotel looks nice. I would expect it to look pretty trashy at that price. Thanks for the tip! hahaha I know! But even me was surprised viewing their properties. I wish I could do on a staycation for such an affordable rate! I like the rooms, especially the dorm-style room- it looks like a great place to bunk with some friends! Yup this is the best price I've seen for dorms. its been awhile since the last time i was back home and i remember makati as the 'it' place or place to be seen! good to know of an affordable and clean room to have in that location! Well, staying in Knightsbridge Residences is already luxury! I know this building, and their amenities are superb. It is amazing that these places cost so little, yet are so beautiful. I could really get used to that. $40is definitely reasonable and I would stay there. Saving money on lodging means more money on other things. Exactly! Totally value for money. Thank you Michelle, I'm glad you like this deal! This sounds like a great way to save some money when you travel. I did a fun Staycation this summer. It was a huge hit with the kids. I agree, as long as it is safe and clean! Wow the price is quite reasonable, i have been planing to visit the Philippines but i was thinking of going to Cebu. I have never travels there. The hotel looks comfy, nice pool. That's very cheap for a staycation. That pool looks inviting. And the 'sundeck' area looks cozy! Yes, I would love to try that sundeck. Kids will like it too. Wow... This is a great offers. Clean and cozy hotel under $40? Really? So affordable right?! 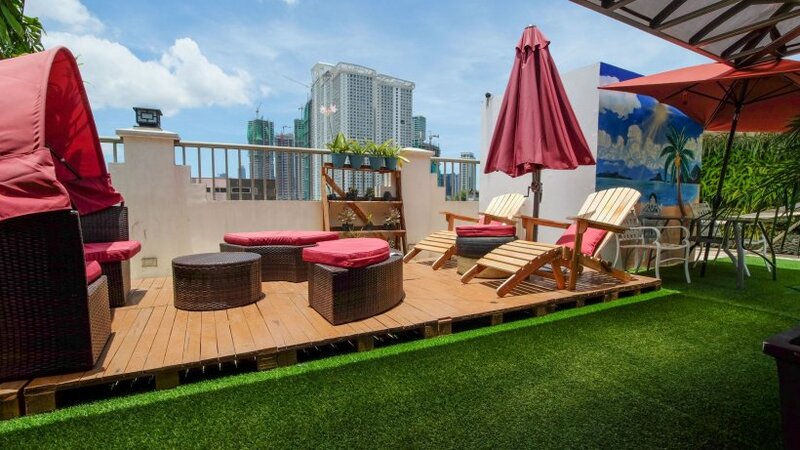 I check the zenrooms.com now and seems like Manila's zenrooms are more cheaper than their properties in Cebu and Davao. Love this lists of hotel rooms. My favorite in the list is the ZEN Home Knightsbridge. That's very affordable for such nice rooms. I wish there were such options all around the planet. I love the minimalist feel of this hotel. I love a good staycation and this looks like a zen play to relax at. Wow! The places look much neater than I've expected when I first heard about the prices of under $40. Such a good deal! ZEN Rooms really knows how to earn customer loyalty! I agree! My friends are also enjoying booking at ZEN rooms because of its affordability and good services. Wow, that is such a great deal! Definitely makes travel more attainable. I love the looks of this hotel! There is nothing better than finding a place to relax and take it all in. I agree. For just less than $40 per night, I can also enjoy swimming at one of the exclusive buildings in the Philippines. Wow, just only $40 we can hire a beatiful room like that! Also, the facilities look so convenient and nice. I will definitely record this to my future travelling list. Thanks for sharing! You're welcome! Don't forget my exclusive discount code! I have been planning to go to the Philippines for a while and really think this is the perfect place to stay while in Manila, comfortable and affordable! Manila is not perfect. But at least the accommodation is affordable, clean and comfortable. Looks like a beautiful place to go to. My only complaint would be not having a carpeted floor, although maybe that's not as bad of a thing from a cleaning perspective. Beautiful rooms. Thanks good! And these properties are being surrounded by many affordable restaurants and food joints. Under 40 bucks is one thing. But you found some totally amazing places! I will share many affordable rooms soon. Oh there is one which cost $5 per night, but its a bunk bed. A night there for under $40?!?! Count me in! That's a great deal! Thanks Sheena, But if you are not too sensitive, you can opt the $5 bunk bed. No way all of these are under 40 dollars. This is too great! I know but it is true! My friend tried to book a suite room in Makati fro 13-nights and he only paid $350. 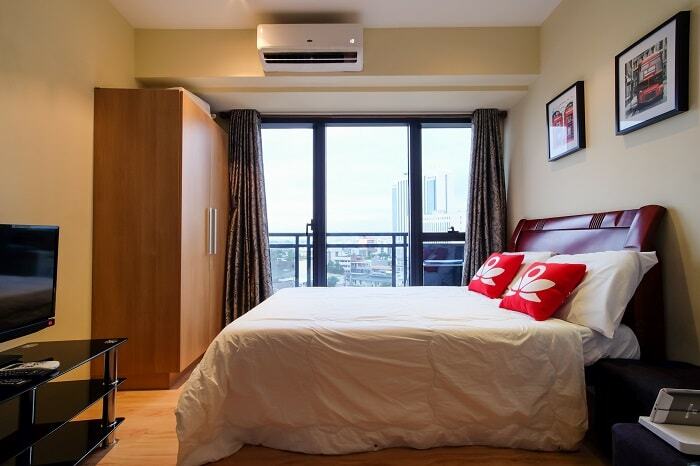 Its a studio suite with amazing bed, a bar, kitchen, fully air-conditioned, etc. Looks like I am visiting Makati soon! These deals are awesome. I agree. I'm not sure why the accommodation in Makati is much cheaper than outside Manila, however it doesn't matter. This is cool! I cannot believe these places are only $40 a night. What a great list. Hotel, looks great and wonderfully designed and extremely clean for such a small cost. Yup, and I can't wait to try one of the ZEN Rooms soon. Affordability is a must-check factor while choosing the hotels on vacations. I liked the concept of Zen homes. I agree. I want to try their services and have a review soon. I have never been to Phillipines, but if I do, that would be a classy option, while still being inexpensive, so you have extra money to experience the rest of the city! Thank you for sharing and the hotel looks sleek! I also love staycation but with a limited budget. I like the Idea of Zen Hostel. I can make new friends and it is so affordable. Very nice price! For those types of amenities and beautiful room it would cost $3-400 where I live. I love the simplicity as well. Makes you feel like you're truly on vacation. I agree. That Knightsbridge unit is true a gem. I know that building and its very exclusive. The rooms are so swanky! that view of the pool is just breathtaking! I also liked the idea of mixed dorms! they're the best dorms I've ever seen in my entire life. everytime my friends and I book hostels.they never look this good. this is one I'll add to the list for when our adventures start to drift outside the country. ZEN Rooms have also units outside the Philippines, like in Singapore, Malaysia, etc. The hotels looks really beautiful and promising. I mean what else would one want for less than $40. I agree. I'm looking forward to experience that pool! These all look great places to stay and they’re such a bargain too! I really love the Zen Homes Knightsbridge hotel it’s gorgeous. Me too! Its totally cheap especially for this exclusive building. This looks like such a beautiful place to stay! I love how affordable it is. If only I could get to Makati City! Asia is totally unexplored, and I'm dying to go! I plan on spending a full month in a few different countries next year. I will definitely be visiting again when I'm on the "planning" leg of my research. The rooms look beautiful! That will be an amazing adventure. You'll love it here in Asia. There are many cities that you can visit and enjoy for free. Those are such great deals on hotels there. And all of the hotels there look amazing. I could stay at any of them and be happy at that price. Exactly! Thanks for visiting Rachel! I haven't tried Zen Rooms yet. After this post, I'm really eager to do my first booking with them! Yay! Just don't forget to use my exclusive discount code for 20% off. Seem so cozy! Can't wait to try one of them. Thanks Shini! There is also a ZEN Rooms in KL and Singapore. Hope you will enjoy your first ZEN Rooms booking! These are all great places to stay in Makati. They have great prices and great room along with accommodations. Thanks for sharing the affordable places to stay. You are always welcome Rebecca! I thinks it is one of the best unit they have. Cool and awesome place at a very reasonable price. Not bad. Might be checking it out one of these days. Thanks for the information! Ohh, how much is the least affordable cost in England? Thanks for sharing! This is super duper worthy~~~ I know other website/app that is similar to ZEN Rooms too. Guess I shall compare and see which I can get the cheapest! Yeah better compare and see which one suits your lifestyle. I've never heard of Makati before. These are really nice room for such an affordable rate! When you visit the Philippines in the future, you might like to consider the ZEN Rooms. And don't forget my promo code and you'll get 20% discount. What a terrific place to stay and enjoy all that Manila has to offer. I will keep this in mind for future reference.